Lock in a great price for Hotel Les Nations – rated 8.2 by recent guests! At this price range I have never seen a hotel this clean. Simple but everything you need. Excellent location for UN. Easy access by local bus / trams (it's free) and walking. Breakfast was a typical European fare, although with more cereals than you would usually find. Hardboiled eggs if you can catch them while they're still there. Good coffee and croissants. Staff wished me a happy birthday when I arrive (it was my birthday) and were very nice and accommodating. 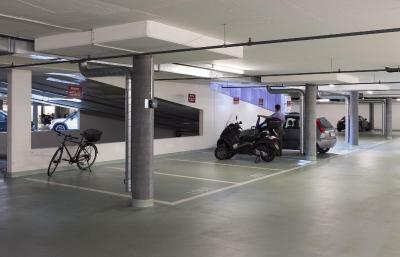 Easy location with access to Public transport and quiet rooms. Receptionists are so kind and polite. Location is good! Not far from the United Nations and Cornavin railway station. Supermarket Denner is nearby. You can find there cheese and chocolate for a lower price. Good room size. Great location near to Cannoniere bus station and a few nearby restaurants. Helpful staff. Clean, cozy, close to the center of the town, friendly staff. Hotel Les Nations This rating is a reflection of how the property compares to the industry standard when it comes to price, facilities and services available. It's based on a self-evaluation by the property. Use this rating to help choose your stay! 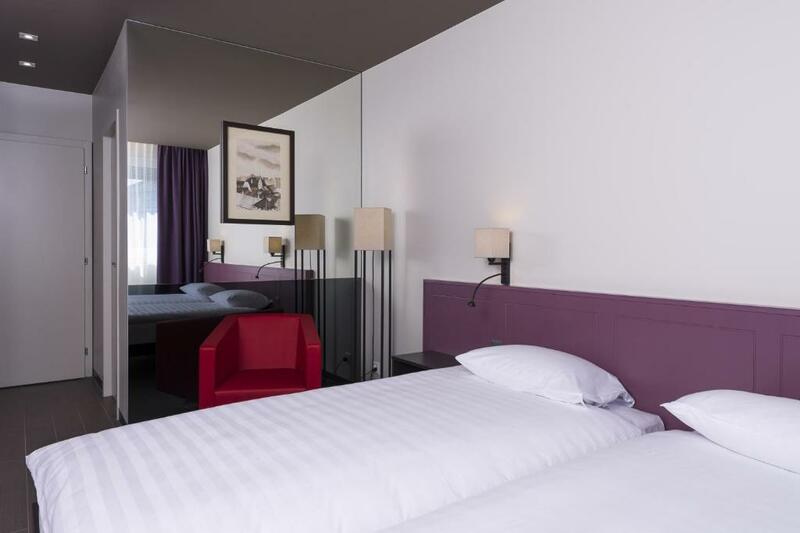 The Hotel Les Nations enjoys a quiet location next to a park, a 20-minute walk from the UN institutions and close to the city center of Geneva. Geneva airport is reachable within a 20-minute train ride, while the Palexpo congress and fair center is a 15-minute drive away. When would you like to stay at Hotel Les Nations? This room features a wall-to-wall window and original paintings, sculptures and other art pieces of internationally well known artists. This room offers a wall-to-wall window. House Rules Hotel Les Nations takes special requests – add in the next step! Hotel Les Nations accepts these cards and reserves the right to temporarily hold an amount prior to arrival. A Visa Electron card cannot be used to guarantee the reservation, but you can use it for payment upon check out. There are some restaurants nearby but it's not really a 'buzzing' neighborhood. Breakfast is nice but really European style simple. Breakfast needs more variety. Add soft or white cheese, vegetables. It would have been amazing to have minibar fridge in the room. Attitude of staff. Cleanliness. Good sleeping. For a business trip to Geneva, this is a wonderful hotel. It is simple, clean and well located. The staff is friendly, and they wait until one checks out to make a payment. My favorite aspect of this hotel is that it trusts the guest to count the number of times s/he had breakfast and if he used any drinks from their fridges. The rooms here have coffee and tea (including chamomile for the eve) facilities, which I find important for a comfortable stay. Everything was perfect. Can't say one thing I didn't like. Friendly and approachable staff. Big spacious rooms with all facilities. Rooms are a really good size! I was looking for a hotel close to the airport for convenience. The area is also nice with grocery stores and restaurants nearby. Close to the city too. I did book last minute, so I only got a room with two twin beds which were actually very comfortable. Real keys to get in and out of the rooms, which were kind of bulky. Also an incredibly small but still functional lift. Traffic noise, even if my room was on the fifth floor. Window insulation could be improved. I stayed at an Ibis hotel 100 m far on the same street in the past and didn't have noise issues. Staff were very friendly and helpful. Location was great for meetings in the city centre. Nothing in particular. The room felt a little too warm sometimes, but to tell the truth I did not even try to see if there was an aircon or if it needs regulation. Staff are nice, facilities clean and comfortable, locatiin is good. The hotel has zero charm and no lobby in which to hang out. It was purely a “sleep and hang your clothes” type of place. Entirely forgettable experience.